Summer conjures images of top-down driving and beach bods strutting along the boardwalk. That allure also bites elite market professionals, who typically jet off to the Hamptons. The prevailing wisdom of course is to “sell in May, and go away.” But because of this dynamic, it’s an ideal time to strategize about which stocks to buy. As MainStreet contributor Max Levin explains, the markets tend to slow down or even drop during the summer due to a lack of rally sparking news. As Levin puts it, almost any volatility that you see during this part of the year is pure speculation. Timing is also an issue. When the year begins, it’s a fresh start for everyone. By the halfway point, participants need to recharge their batteries. Furthermore, the summer season falls inline with second-quarter earnings. After such a big event, well-heeled investors take in their profits and call it a day. This circumstance usually leaves the smaller retail investors clawing for scraps. But from another perspective, this gives you a discount on your list of stocks to buy. Because when the summer season ends and fall begins, the markets typically resume their temporarily halted trajectory. These stocks to buy have demonstrated either a technical tendency to bounce up during the fall season, or their core industry often receives a seasonality boost. For fairly obvious reasons, most advertisements feature cruise liners basked in the summer season’s glow. So it seems counterintuitive to discuss Royal Caribbean Cruises (NYSE:RCL) in a list of fall stocks to buy. But don’t let initial assumptions fool you: RCL stock has demonstrated a tendency of rising into strength from the summer to the fall season. 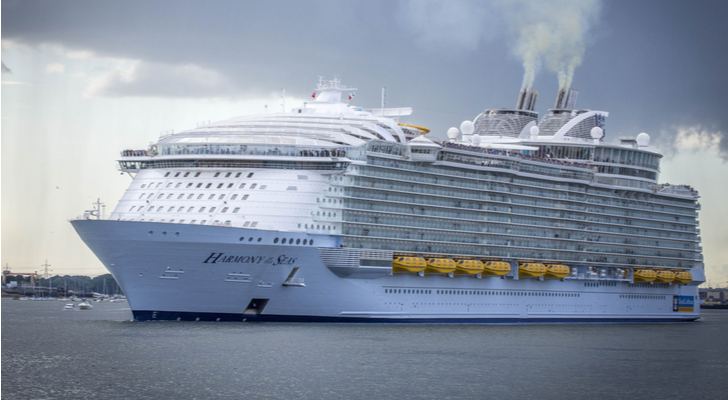 Although summer is peak season for the cruise-liner industry — as is the case for virtually all travel-related businesses — cruises leave port throughout the entire calendar. Consumer trends also vary. Summer is most convenient for working families as kids get off of school, and employers generally anticipate vacation requests during this timeframe. But many travelers don’t like scorching heat, or may prefer the more tranquil experience of winter travel. Another cruise liner that has a tendency of doing well leading into the fall and winter seasons is Norwegian Cruise Line (NYSE:NCLH). Like rival Royal Caribbean, Norwegian Cruise Line operates year-round, attracting both casual tourists and cruise-aficionados. One factor to remember is that while the summer season is the most popular, the seasons’ timing differs depending on region. Moreover, international weather patterns can disrupt our summer vacation plans. For instance, hurricanes can negatively impact Caribbean, Bahamas, Bermuda and Mexico cruises during this time. Alaska also incurs the most rain during the summer months. NCLH stock is down double-digits year-to-date, which makes it an attractive contrarian opportunity. The company levers strong profitability margins and annual revenue growth. Recent sales trends are encouraging, providing legitimate hope for a push higher this autumn. Traveling by boat isn’t the only profitable route as we head toward the fall season. Southwest Airlines (NYSE:LUV) has proven to be a robust investment, especially as the summer months wind down. To be 100% transparent, I’ve had an on-again, off-again relationship with airline companies. The industry has suffered a black eye from the consumer’s perspective. The seats are getting smaller, passengers are becoming more violent and operations sometimes appear chaotic. Don’t get me started about United Continental’s (NYSE:UAL) passenger-beatdown controversy last year. That said, LUV stock has proven doubters wrong. Moreover, with the economy improving significantly, prospective passengers have more money in their pockets. By logical deduction, since the labor market is also robust, employers are likely more willing to offer generous vacation packages. This broadly provides strong tailwinds for LUV, making it one of the better stocks to buy right now. I’m going to warn you straight off the bat: Starbucks (NASDAQ:SBUX) is a contrarian bet. A few months ago, I discussed the ugly, racially charged incidents that have negatively impacted the Starbucks brand. I agree that any racially motivated acts of discrimination must be dealt with quickly and seriously. I disagree in overhauling an entire company over a few bad apples. That’s what Starbucks did, introducing store-wide changes in addition to an all-hands racial sensitivity training. I warned that this move could backfire: Cunning actors could fake a racism charge, crippling the brand image yet again. Because in this political climate, how can you prove otherwise? Interestingly, SBUX shares are down double-digits since my article was published. But now that perhaps most of the ugliness has been baked in, it could be a time to buy. 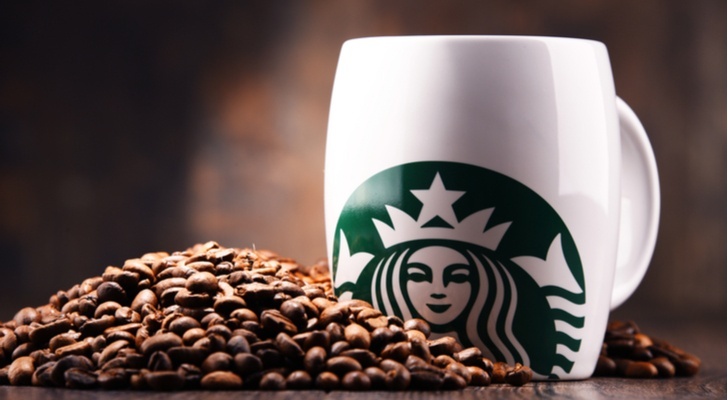 At the end of the day, Starbucks levers an incredibly powerful, global brand. Additionally, shares have previously demonstrated upside momentum as the weather cools down. Amazon (NASDAQ:AMZN) is one of those rare companies that belongs to almost any list of stocks to buy, irrespective of the season. But if you want to time your purchases, AMZN stock generally trades well as the autumn and winter seasons approach. Obviously, the biggest reason is the holidays. While Amazon is currently attempting to take over the world — it’s a cloud-computing powerhouse and a grocer, among other things — it’s still primarily a retailer. As such, it must abide by retail rules. That means putting your best foot forward in the second half of the year. But again, the beauty of AMZN stock is that it’s not just an e-commerce powerhouse. It’s involved in so many emerging businesses, as well as traditional, “analog” ones, that it’s difficult to keep tabs. Should one area suffer weakness, other divisions can easily pick up the slack. That’s why the discussion regarding $1,000 AMZN has quickly transitioned to $2,000 AMZN. Brick-and-mortar retailers have obviously weakened due to rising e-commerce companies. As a result, the traditional holiday season, while still the biggest for retailers, has lost much of its joy. Foot traffic is down, leading to an understandable downfall in sales. Most businesses in this sector struggled to find an adequate answer. Best Buy (NYSE:BBY) is one of those rare few that have thrived following a painful reconstruction process. Today’s Best Buy isn’t just a digital device and electronics hub; instead, the retailer provides valuable services, such as mobile-phone setup and its 24/7/365 technical-support team Geek Squad. In addition, Best Buy’s management team demonstrated their entrepreneurial spirit, moving into the lucrative senior-services market. This sector should only continue to grow in demand as the Baby boomer generation rapidly ages into their retirement years. To paraphrase the Dos Equis guy: I don’t always buy retail stocks, but when I do, it’s BBY. While brick-and-mortar retail generally fights for traction, the big-box retail segment has enjoyed a much more comfortable ride. Among the major retail stocks to buy, Costco (NASDAQ:COST) stands head-and-shoulders above the rest. Very few companies have the business and social cache that Costco levers. The warehouse business model that the company practically originated has been the topic of movies and punchlines. People simply can’t get enough of it. Of course, it’s not just the branding. 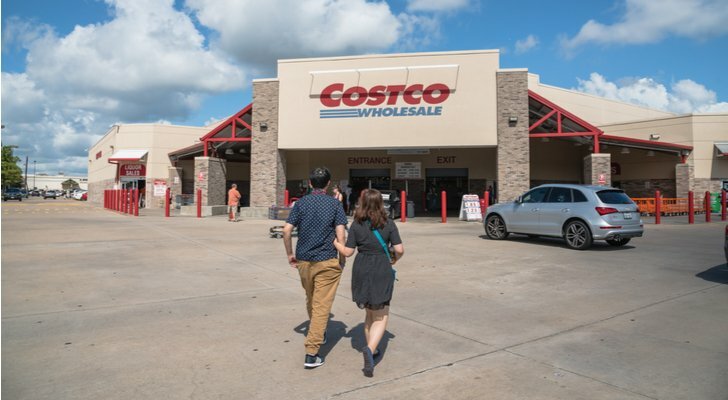 Costco maintains robust sales growth in large part because it simply sells everything. From the latest laptop computer to 50-gallon barrels of mayonnaise, every shelf is stocked with something useful or enticing. COST stock also trades well as a summer buy. When temperatures cool down, trading sentiment typically heats up. Although I don’t think you’re going to get rich off of COST, any dips now could prove profitable soon. One necessary evil that the e-commerce industry must endure is shipping costs. Traditional retailers don’t have to charge their customers shipping as the products are sold on the spot. 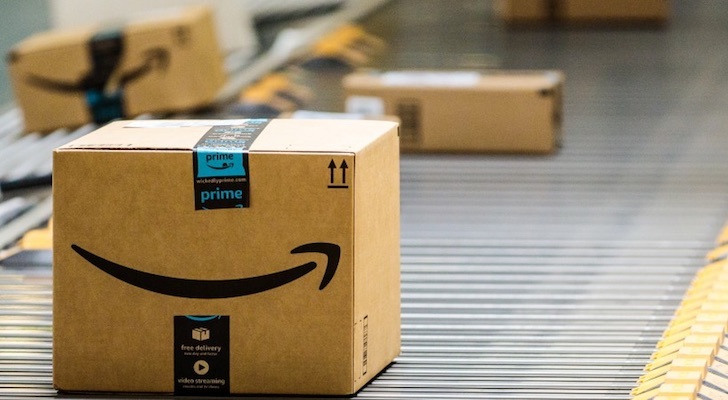 Previously, Amazon, like any other e-commerce enterprise, simply bit the bullet, offering a variety of shipping options. But with sales exploding into the stratosphere, it’s becoming more onerous to keep up with the associated shipping demand. Our own Brad Moon points out that President Trump takes a dim view on Amazon’s perceived low-balling of the U.S. Postal Service. In response, Amazon introduced its own delivery service. This endeavor will likely take time to fully develop, which create an opportunity for FedEx (NYSE:FDX). Conventional wisdom states that Amazon is a competitor. They are, but FedEx is an established leader in the courier business. It will take a gargantuan effort to replace FedEx’s advantage in the economies of scale. Additionally, FedEx has a tendency to perform well leading up to the autumn and winter months. While Amazon is a huge partner, it’s not the only fish in the sea. While we’re discussing the courier business, don’t forget about FedEx rival UPS (NYSE:UPS). 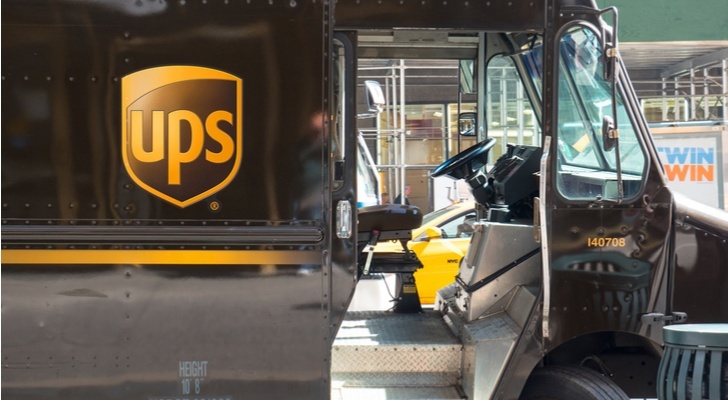 Like its ever-present competitor, UPS benefits strongly from Amazon and the e-commerce craze. However, I’m not worried that Amazon’s own shipping venture will derail UPS stock. For one thing, traditional brick-and-mortar retailers have stepped up their online-commerce game. One example is Target (NYSE:TGT), which uses UPS for its ship-from-store business model. While I’ve criticized Target in the past, I must admit that their online-fulfillment centers have delivered the goods. We can expect further development into this business model because that’s where the money is. In addition, Target’s competitors will follow suit as they adapt to retail’s new reality. And just like FedEx, UPS benefits from the economies of scale. Their brand reputation and networks are too extensive to simply replace. As e-commerce takes increasing market share from total retail sales, overall demand for UPS goes higher. More than enough demand exists for several industry titans to profit handsomely. Wynn Resorts (NASDAQ:WYNN) is another company on this list that warrants a warning, as it is a speculative affair. Earlier this year, I covered the Las Vegas fixture as Steve Wynn faced sexual-harassment allegations. Suffice to say, it was a PR disaster and Wynn had to resign. During the fiasco, I stated, “I wouldn’t be opposed to taking all profits off the table.” More times than I care to remember, I put my foot in my mouth. This time, though, I gladly stand by my words. Since my article was published, WYNN stock lost 18.5%. But now that the company is working through its tough issues, it might be time to buy back in. This contrarian move isn’t without risk, primarily because shares have been so volatile lately. But Wynn Resorts remains a top sleepover for those who can afford it. Plus, you’d have to be crazy to visit Las Vegas during the summer. Those who know, know that you visit Sin City during the autumn or early spring. I didn’t like Wynn due to its negative PR incident. However, the crux of my argument was that the Las Vegas gaming and tourism industry never truly recovered from the Great Recession. Ultimately, this fundamental headwind was going to drive Vegas-centric stocks lower. However, the economy, as President Trump has repeatedly bragged, has improved significantly. You may or may not like our current administration, but we can all agree on this: The second-quarter GDP growth was surprisingly robust. I don’t want to hinge everything on one report. 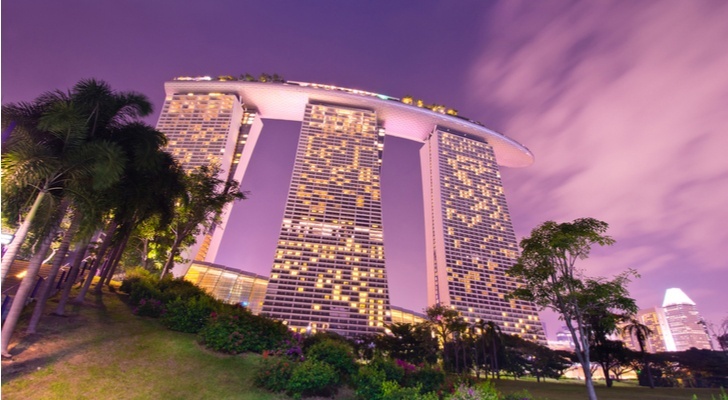 However, if the trend continues, currently deflated investments like Las Vegas Sands (NYSE:LVS) may enjoy a resurgence. Also, I can’t help but notice the timing. In years past, LVS stock has grown into strength from summer to autumn. This trend corresponds with the best times to visit Las Vegas, which is between September to November and March to May. But having been to Sin City several times, I can attest that the autumn-winter months feature the least atrocious weather. Tourists probably feel the same, which is why LVS is a good speculative bet now. With a few exceptions, Vail Resorts (NYSE:MTN) typically enjoys a burst of investor sentiment as autumn and winter approach. This is for patently obvious reasons. As a premier mountain and ski resort, Vail comes alive when temperatures are near their coolest. Over the past five years, MTN stock earned a reputation as a reliably profitable investment. That continues to be the case in 2018, with shares up 35% year-to-date. Because of this robust sentiment, I wouldn’t classify MTN as one of the discounted stocks to buy. However, its bullishness is fundamentally justified. 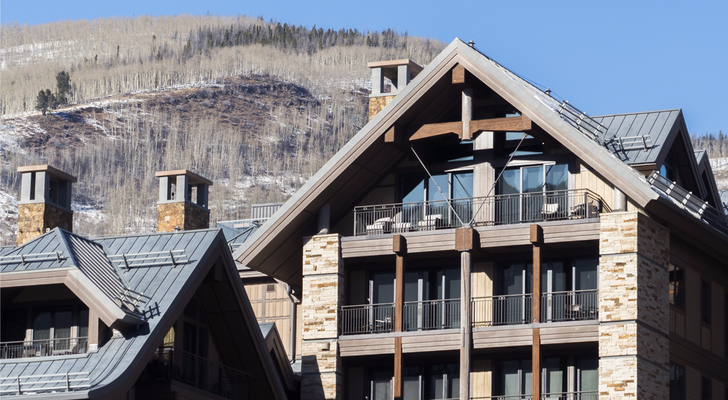 Vail Resorts’ profitability margins are substantially higher than the competition. Additionally, the company’s three-year revenue and EBITDA growth rates are both in double-digit territory. It also pays a dividend, albeit with a modest 1.8% yield. VF Corp (NYSE:VFC) isn’t a household name. Its popular brands, including Lee, Wrangler and Dickies, certainly fall under this category. Fashion companies usually benefit from year-round demand as they adjust product offerings seasonally. However, VF Corp receives an extra boost during the cooler months of the year thanks to its winter-brand, The North Face. This segment has been a notable winner overseas, enjoying 5% year-over-year revenue growth in international markets during the first quarter of fiscal 2019. Specifically, Europe, the Middle East and Africa grew 12%, while Asia Pacific grew 26%. With the exception of Vans, all other VF brands experienced negative growth in at least two markets. Coincidentally, VFC stock has performed well as the autumn and winter seasons approach. Given strong growth prospects for The North Face, I expect the trend to continue. When most people think about Johnson & Johnson (NYSE:JNJ), images of common household goods arise. In addition, JNJ features a pharmaceutical division that has been driving revenues for the company over the last several years. Collectively, JNJ’s broad reach makes it a good pick for the patient investor. That said, JNJ stock also benefits from a cynical reason to consider buying shares now. According to Time Health, “the biggest surge in human rhinovirus infections occurs in the fall.” And what exactly are human rhinovirus infections? Essentially, they are the biological agents responsible for more than half of cold-like illnesses. According to the American Society for Microbiology, human rhinovirus infections cost billions in medical visits and lost productivity. 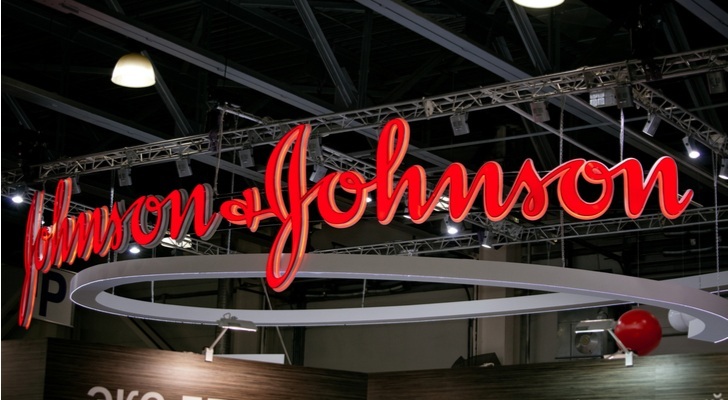 Without trying to sound like a conspiracy theorist, JNJ benefits from this cold season thanks to increased over-the-counter medication sales. Again, it’s cynical, but it’s also reality. You might as well profit from it. 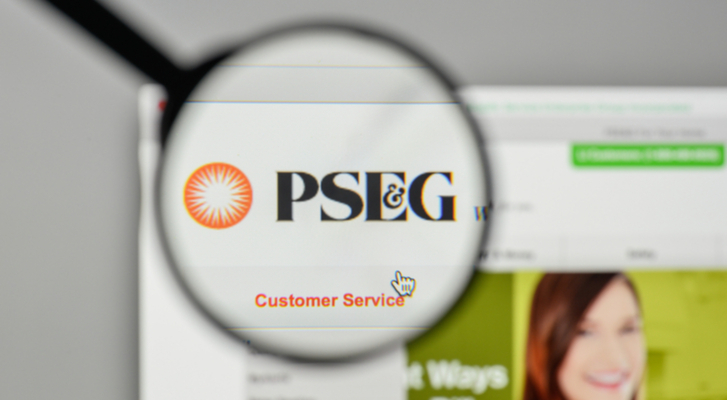 Public Service Enterprise Group (NYSE:PEG) is more of a winter play than an autumn one, but the thesis is similar. As temperatures drop, more people use energy to heat their homes. Logically, this adds up to increased revenues for PEG. But I especially like the company’s location, which features utility networks throughout New Jersey and Long Island. Indeed, from a utility investor’s perspective, places like Newark, New Jersey represent a gold mine. Temperatures are bitterly cold — at least from a spoiled Californian’s mentality — from October through March. This translates to people constantly running their heating systems, ringing up robust sales. Also, PEG pays out a fairly generous 3.5% dividend yield. 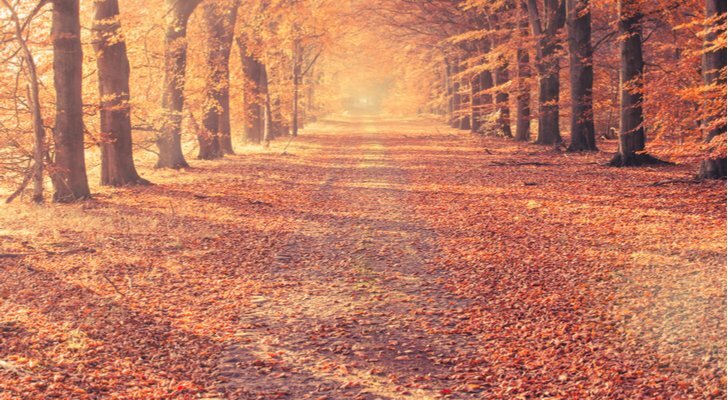 Article printed from InvestorPlace Media, https://investorplace.com/2018/08/15-stocks-to-buy-ahead-of-the-fall-season/.